Building Enclosures require proactive actions by each member of the Design and Construction Teams to deliver a building that meets stated performance requirements. Air Barriers are a critical component to meeting those requirements. 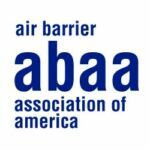 The following document addresses ten of the most Frequently Asked Questions (FAQs) that Architects, Engineers and Construction Managers/General Contractors ask with respect to air barriers. The answers that follow provide insight for these team players to minimize building enclosure risks and provide assurance that their projects are proactive in meeting the performance requirements.